Research Notes: The Tithe Applotment entries were transcribed by Pat Connors from LDS Family History Film #0256614. All occupiers are included, however, the complete entry was not transcribed. The area and net annual value of the occupied property was not included. The data base is sorted by surname and information includes first name, townland, and household number if listed in the tithes. The film was in fair condition but dark in spots plus the old type handwriting may have lead to some mistakes in the transcribing of names. Therefore, do not treat this as a source document, if you think your ancestor is listed, go the film and check for the accuracy. 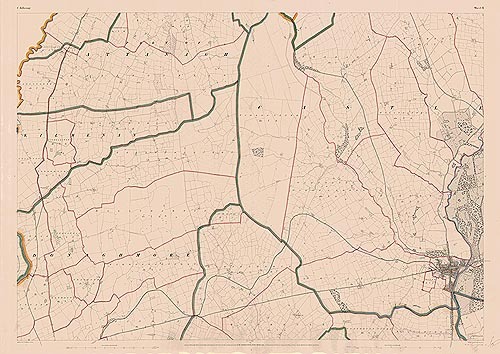 ADDITION NOTE: This civil parish emcompasses more townlands located in County Leix but they were not included in film.